The Casale dei Cicerali alley is certainly one of the oldest and most picturesque neighbourhood of Maiori, that from Citarella square, in the very heart of the town, narrow and winding, makes for the mountain, interspersed with chapels (the first one dedicated to San Nicola - XIV century - and the second one to the Madonna Addolorata - XVIII century -), shrines, crucifixes, large courtyards, arches and steps. It's a kind of crib village, developed in height, using the natural slope of the hill, where it is still possible to breathe the atmosphere of the past. 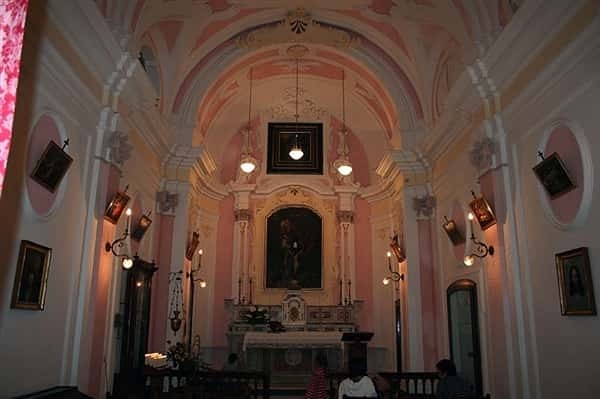 Although there is not an official toponomy of Maiori's streets and alleys, many local historians consider that the name "Casale dei Cicerali" probably comes from an hypothetical family called (de Ciceralis) living there in the past. 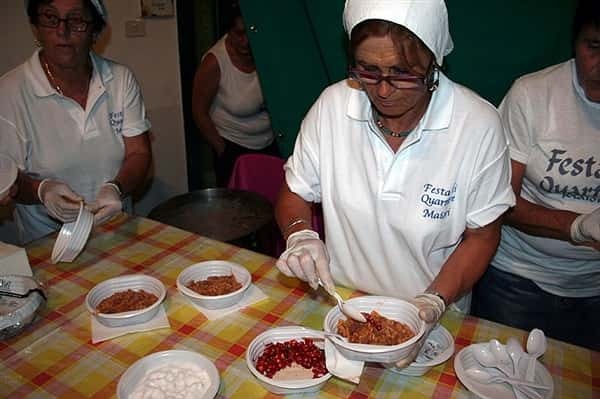 But everybody agree on one point: the neighbourhood housewives prepare the most delicious pasta with chickpeas of the whole Amalfi coast. Someone, starting from the assonance between the legume (in Italian language "ceci" means chickpeas) and the Casale dei Cicerali, also suggest this "tasty" alternative to explain the origin of the name of this hamlet. 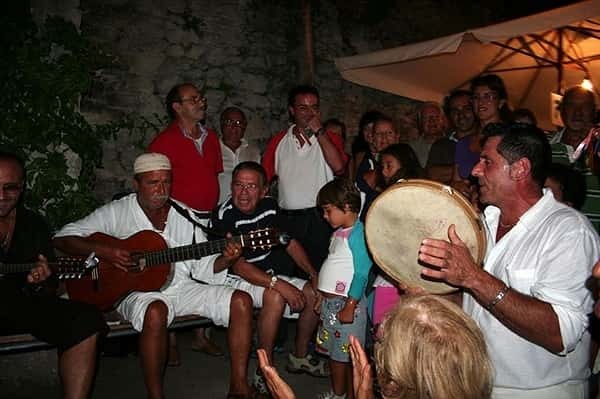 Since more than ten years, this familiar and characteristic scenario frames the "Hamlet Feast" in the first weekend of September. 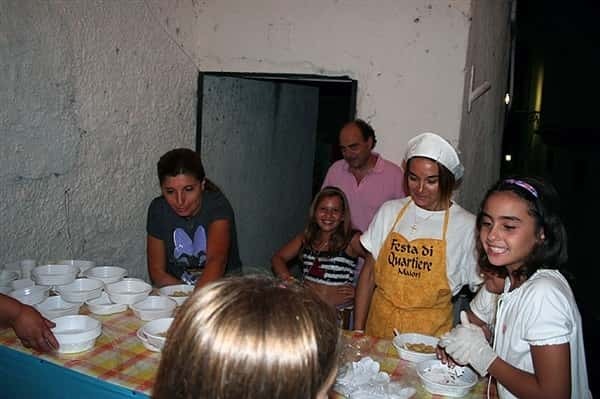 Locals wanted to realise a particular event both to make known typical regional dishes and to raise founds in order to renovate the chapel dedicated to the Madonna Addolorata. 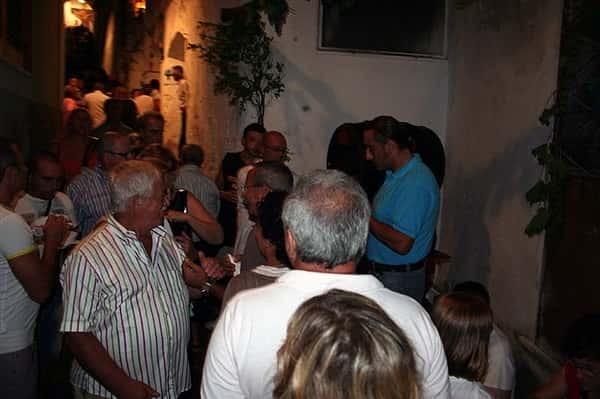 The cheerful and folk atmosphere, the traditional dishes and the picturesque corners of this neighbourhood ensured the success of this event. 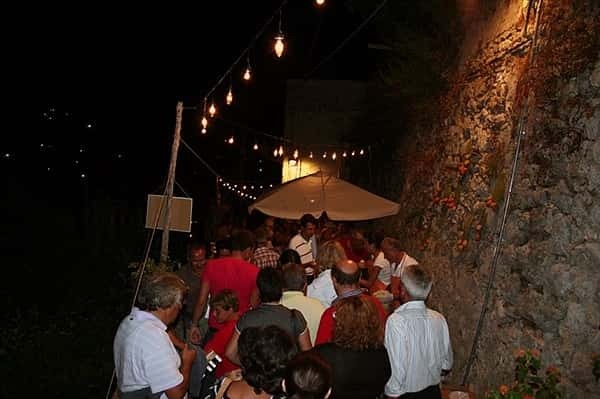 The feast takes place in the upper Casale dei Cicerali, separated from the lower one by the Provincial Road. 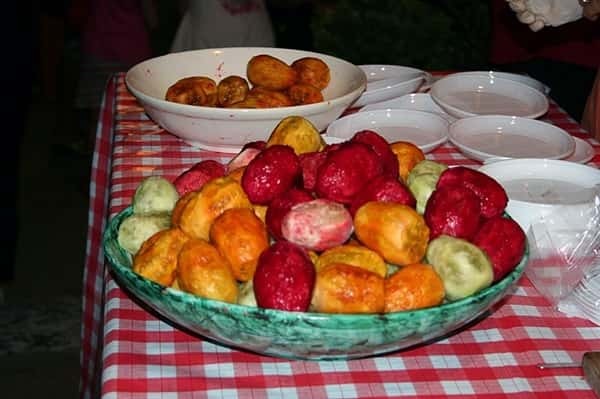 It is important to note that dishes are prepared by the housewives and not by a catering. 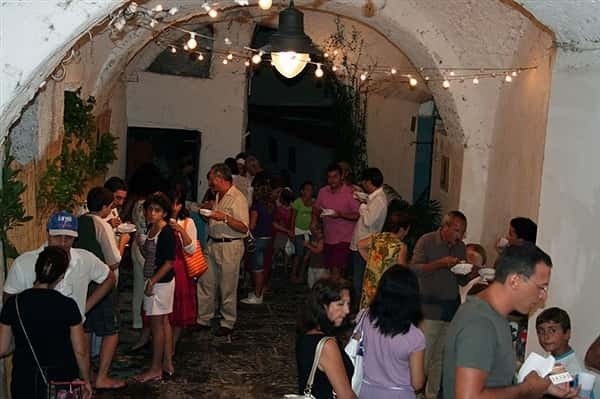 After a fresh appetizer, you will taste a delicious "pizzelle e sciurell" (fried morsel made with flour, yeast and pumpkin flowers) entering in the first courtyard on the left hand. Soon after two different first courses are waiting for you: pasta with beans and pasta with chickpeas (obviously), both served with a generous dose of red hot chilli. 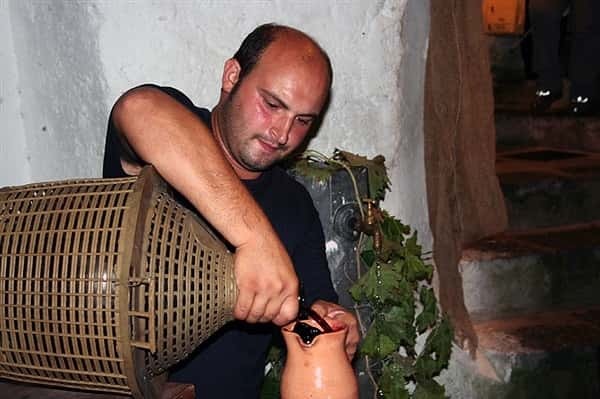 Two stands offering local wine will help you to face up to the climb, rewarded with a sandwich with sausage. 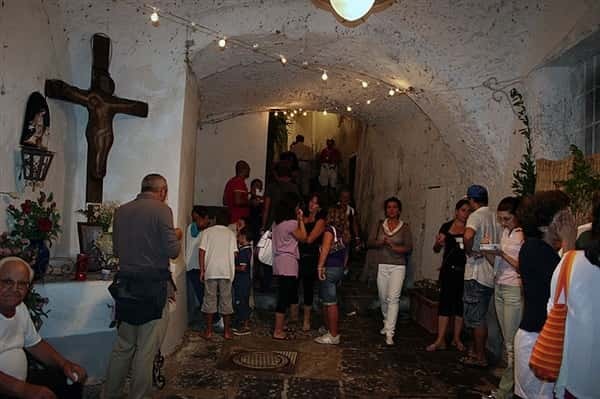 At the end of the alley you will find a beautiful wooden crucifix and a narrow steps on the right hand that will led you to the chapel of Madonna Addolorata. From here the path continues along the slope of the hill, surrounded by lemon terraces and olive groves, enjoying a wonderful view of Maiori and of the Amalfi coast. 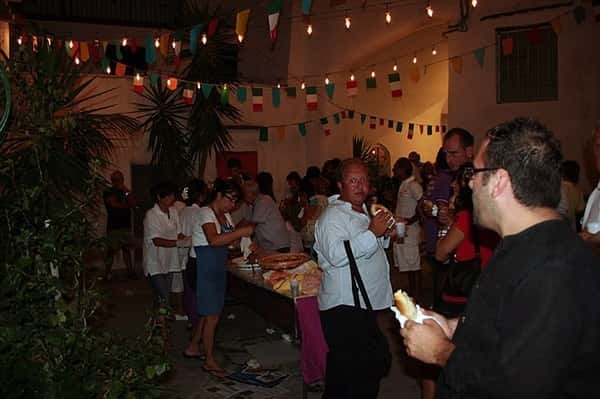 Other stands will offer to you the typical "o' per e o' muss" (the leg and the snout of the pork, boiled, cut into thin slices and marinated into lemon juice and salt), prickly pear, local cakes (apple pie, babà, pastiera, lemon cake) and liqueurs, such as limoncello, concerto, fennel liqueur and liquorice liqueur. 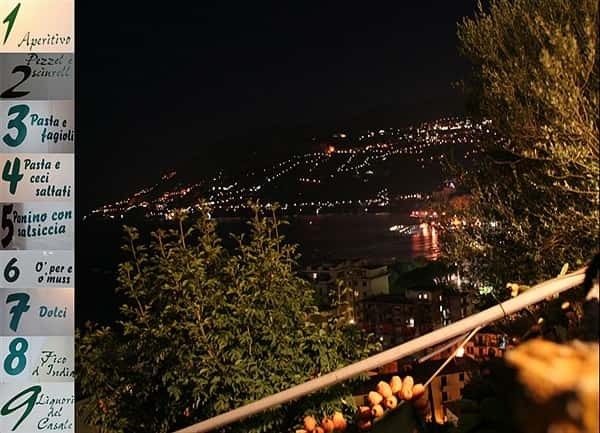 If you are not tired yet, you can continue along the path of the Lazzaro neighbourhood, a very panoramic path overlooking the sea, which runs along the mountain as far as the Norman Tower, passing by the Botanico San Lazzaro, the newest boutique hotel of the Amalfi coast, opening soon. 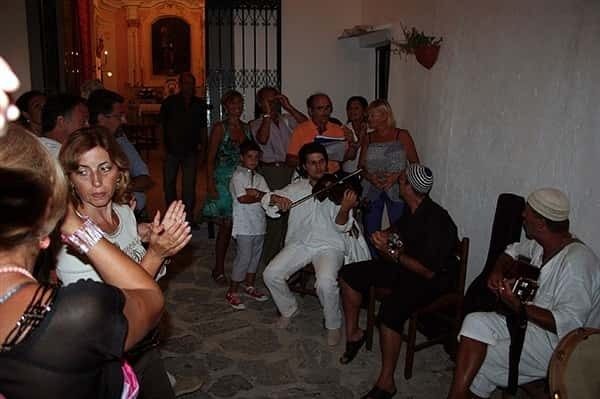 Typical dances, tamorre, Neapolitan melodies and mandolins will frame the fantastic moments you will spend there, admiring the lights of the other towns of the Divine coast. 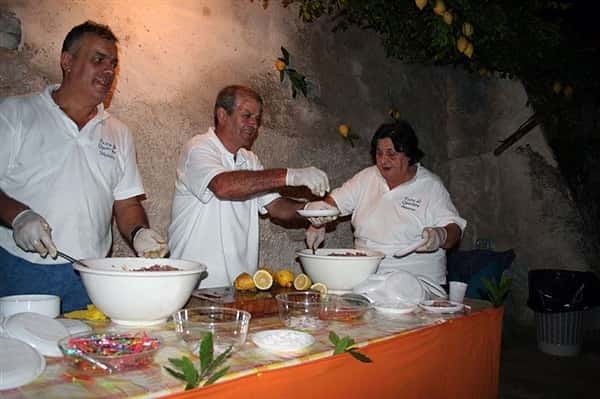 The success of this event depends of the local housewives in preparing simple and genuine meals and the wonderful typical Italian atmosphere. You're probably wondering how I know so well this neighbourhood and the emotions that transmit to everyone. 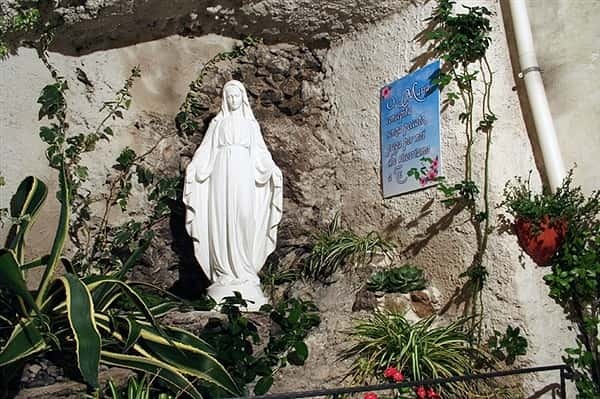 I live in via Casale dei Cicerali too!